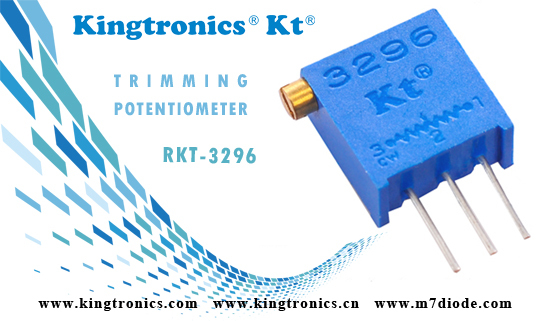 Kingtronics, a professional manufacturer, based in Hongkong, produce and sell our brand kingtronics diode and bridge rectifiers, with very good reputation in the market! Diode rectifier: M7, LL4148, zener diode BZV55C, RS1M, 1N5399, RL207, 6A10, FR107, 1N4937, FR207, 1N5819, 1N5822, SM4007, UF4007.......etc..
Diode M7 is one of our most strong part, it with High forward surge current capability, High temperature soldering guaranteed. And JEDEC DO-214AC molded plastic body, it is For surface mounted applications, widely used in the market! 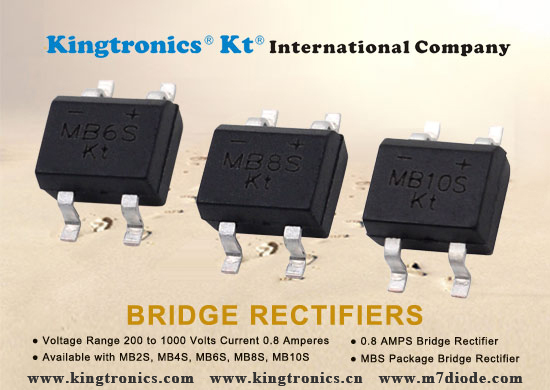 Bridge rectifier: DB107, MB10S, KBL4005，KBU610, KBPC2510, KBPC2510W, KBPC35005-KBPC3510, KBPC3510W........etc..
Bridge DB107S is very popular part, with High temperature soldering guaranteed, Reliable low cost construction technique, Ideal for printed circuit board..
For more detailed descriptions, please visit our website, you will find our valued informations. 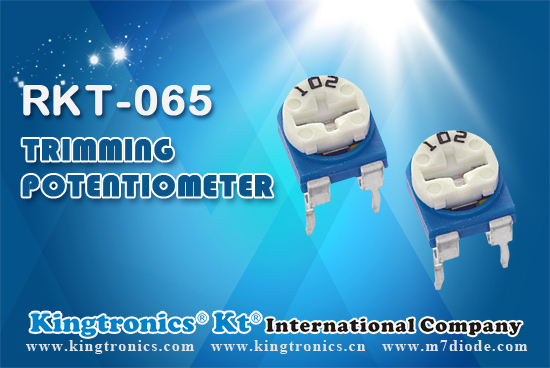 I am glad to say, our zener diode BZV55C & BZX55C have much better price, please send your inquiry list to Mandy (sales5@kingtronics.com), Kingtronics will help you to save money, and help you earn more money!! Did you buy bridge rectifier from Diotec and Fairchild about below series? We Kingtronics can supply you these items at much better price and quick delivery. 1: Kingtroncs bridge rectifier is UL certified. This November we Kingtronics will exhibit at Munich Electronica. Sincerely invite you to visite our booth No.B6.437/5. Or pls email to info@kingtronics.com and we will reply your request instantly. Kingtronics, we are ISO manufacturer with two factories. 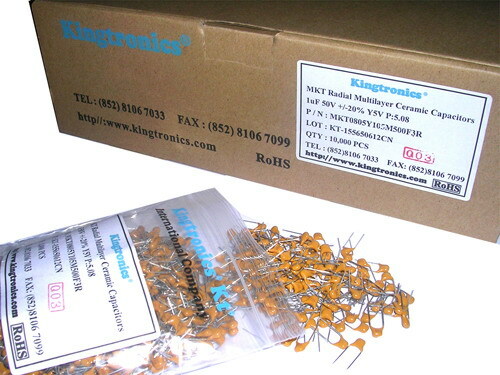 Radial multilayer ceramic capacitor is one of kingtronics most strong offer! We sell radial multilayer ceramic capacitor to many big customer for many years, we are the most competitive manufacturer in the market! With above you should trust kingtronics will not let you down! If you have any doubt you can contact our sales at any time, we will response you at the soonest! Please have a look at our picture, from the sight of view you may satisfied with our products, let's go ahead, start our further cooperations! 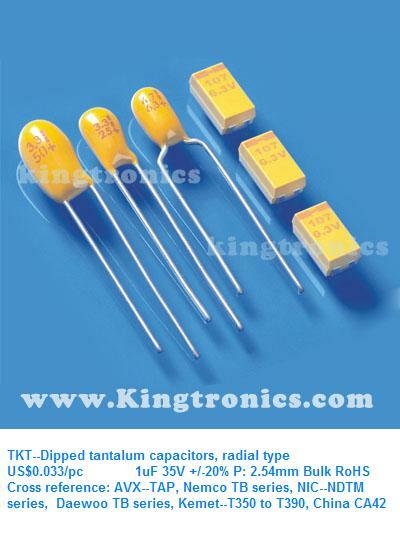 Kingtronics TKT series dipped tantalum capacitor, also called radial tantalum capacitors, or tantalum bead capacitors. TKT series meets and exceeds the requirements of IEC Specification 384-15-3, IECQ Specification QC300201/US003 and Technical Specification SJ/T10856-96. Dipped tantalum capacitors are used in military (on request) and civil applications such as TV sets, camcorders, computers, program-controlled electronic telephone switching systems, telephones, instruments and meters. Can we make it ? 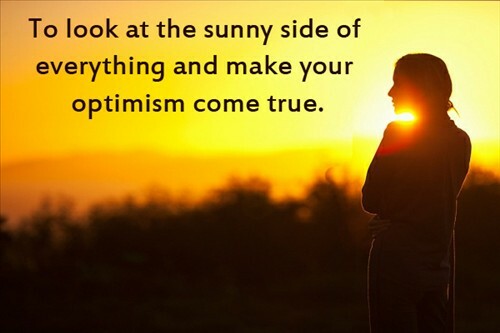 Yes we can ! 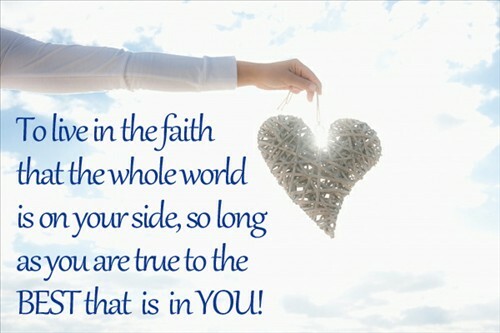 1> To live in the faith that the whole world in on your side, so long as you are true to the BEST that is in YOU! Are you on summer holiday now? The yearly electronic components exhibition in Germany will begin after several months later. Do you plan to be there? Kindly pls note we Kingtronics will exhibit there at booth No: B6.437/5 on 13th-16th Nov, 2012. 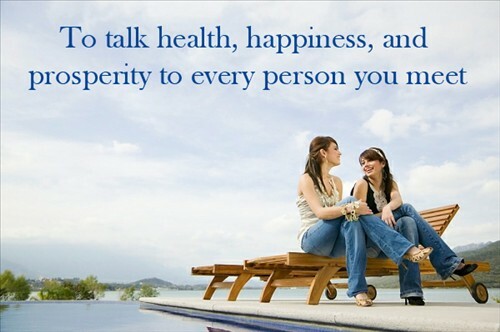 Welcome to visit our booth and take free samples for the testing. As previous exhibitions, this time we still arrange those popular samples for the visitors and customers. Below are part of the popular items we Kingtronics produce. If you have inquiry for these hot products on hand, kindly pls send us and let me quote the best price for you. Any furhter request/help, pls email to sara@kingtronics.cn and I will reply you instantly. Thank you very much.